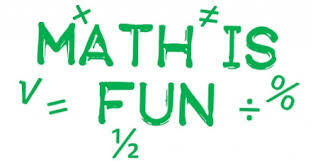 There’s something about the daily adventure known as math that can make even the most easy-going parents feel tested. If your child can use math help, take heart: Sprinter Learning Center delivers results. Students who come to Sprinter Learning Center for math tutoring could increase their score twice more than other students. How? Sprinter Learning Center has math lessons are designed similar way that how students learn in school today. We also use technology to make learning personal and engage your child. We know that every student learns in his or her own way. This means personal attention can make all the difference in mastering math. When it comes to math tutoring, personal learning is what we do best. Our math tutors use your child’s personal learning plan and engaging technology to motivate and inspire your child. Our math tutors get to the root of your child’s needs, so your child can soar with newfound skills and confidence. No one-size-fits-all math program. Your child isn’t one-dimensional and learning math shouldn’t be either. We offer diverse math programs to make sure your child is learning in the way that works best for him or her. Affordable options. Many of our programs start at just $49. A partner who will grow with you. Sprinter Learning Center is right there with you as your child’s academic needs evolve. Math today... Reading, Writing or college prep tomorrow. Quality practice time. Class time isn’t enough to learn concepts. Kids need practice time too. At Sprinter Learning Center, your child gets hands-on experiences with how math is taught in school. Sometimes, all your child needs is help with math homework. We’re on it. Our math tutors offer just-as-needed help with tough homework assignments and test preparation.